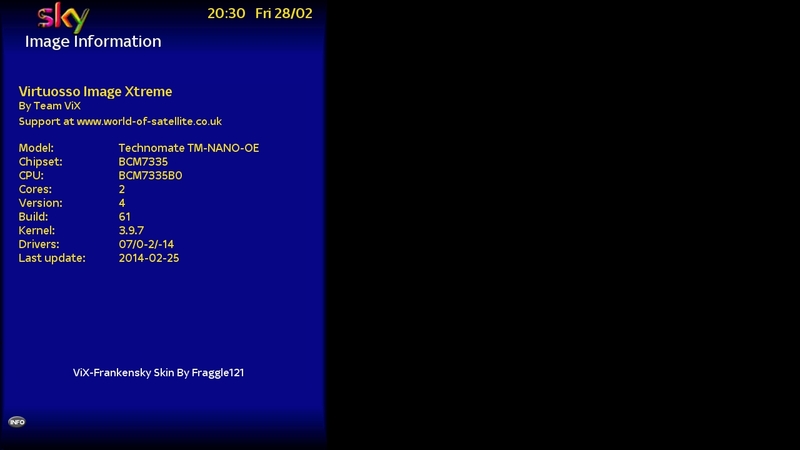 Heres the about screen from the latest unreleased openvix4 image, running on the TM-nano, so contrary to what some may be saying about killing your receiver by using it, its all scare tactics and should be taken with a pinch of salt. We found these with some very clever search terms, so they ARE online, probably for other makes of receiver supported by ViX as well. Apart from a new bootscreen, we havent yet found anything amazingly new, but, ViX have said that the main difference with ViX 4 is the way in which the images are built, not with the actual image itself.